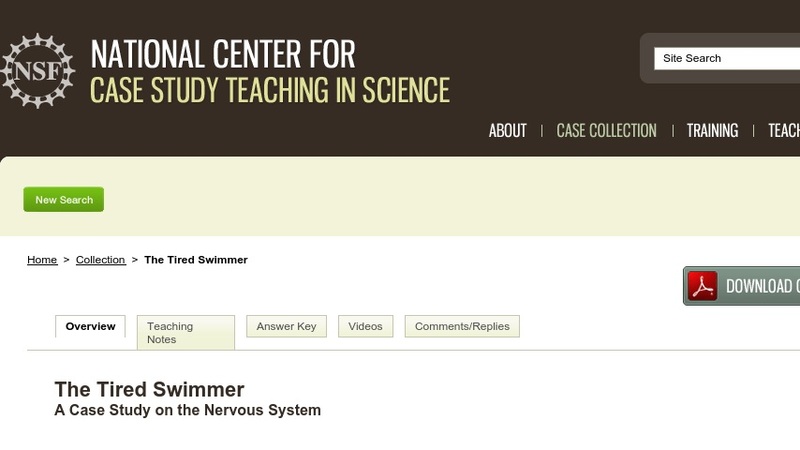 Annie is on a college swimming scholarship. Recently she has been feeling tired and her times have been getting slower. She has also noticed that her vision is often blurred. Concerned, she goes to see her doctor over the mid-term break and is referred to a neurologist, who finds that Annie is suffering from something more than just fatigue. This interrupted case study takes students through a series of stages that describe Annie's problems and symptoms. Students use their knowledge of nerve and muscle physiology to fit the pieces together and determine what is wrong with Annie. The case was developed for use in a one-semester animal physiology course that is taken by sophomore and junior science majors. It could also be used in an anatomy and physiology course.